Feeling a bit adventurous? Or enjoy the thrill of finding one-of-a kind bars? Well, HCS have done some digging to find the quirkiest bars of them all. Quirky bars may not be the hottest go-to spots, but isn’t that the way they get discovered? Idiosyncratic. Apparently it’s the definition of the term quirky, but a synonym like different will do just fine. So with its many definitions, Melbourne has a host of unique bars that will please not only a niche audience, but cater to a wide crowd. It may not be the scene for everyone, but hey…why not try something new? Isn’t that why we travel anyway? To experience new things? 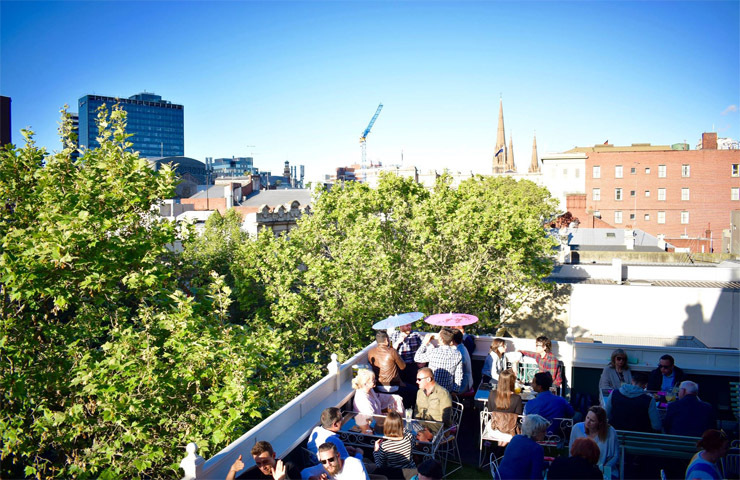 Well, here’s to us for thinking outside the box and finding Melbourne’s best hidden but quirky gems! A 1920’s cocktail lounge with plush armchairs and an air of sophistication? Head to Back Bar. Trading from Wednesday to Sunday, you can be entertained in the Red or Gold Lounge by sitting in front of the fireplace, grabbing a drink in the cocktail bar or visiting the outdoor area and sipping on martinis while embracing the hustle and bustle of Chapel Street. Known for hosting themed parties such as The Great Gatsby and Rocky Horror, Back Bar will cater to every need that you have and provide 110% of attention to detail so your party will go off with a bang! They even offer Cocktail Making Classes, so grab your friends and perfect your favourite drinks! A spacious two-level bar that consists of not 1, not 2 but 3 bars! 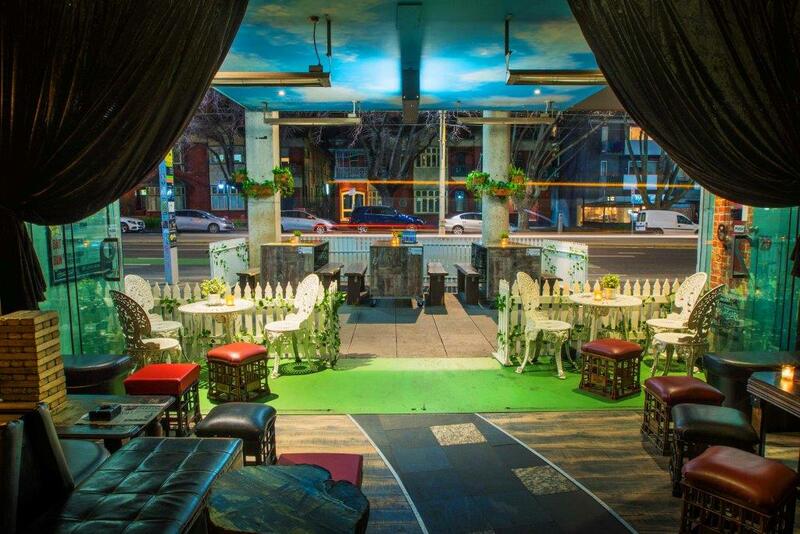 Complimented alongside booths and a courtyard, you’ll be entertained until the early hours of the morning. Everything inside is up for sale so you can spend a little cash on furniture for instance alongside ordering one of the many unique cocktails on offer such as the Gunpowder Iced Tea with rum, chilli-infused peach tea and chocolate! Pawn & Co. is one of those bars that you need to visit whether you’re a local or a visitor…just make sure if you’re travelling you don’t purchase a grand piano…might be a little large for carry-on luggage! Inspired by struggling artist, Katishe, 29th Apartment is a truly unique New York City inspired bar in the heart of St Kilda’s Fitzroy St.
Open until 3am every day of the week, you can cosy up in one of the many booths (and some are more secluded than others if you want a romantic spot with the Mrs). Where’s the quirkiness one might ask? Well, there is giant Jenga, a pinball machine, a bath tub, a fish tank and a bookcase on display…quirky enough for you? If you’re feeling like partying on a weekday and doing it right, then 29th Apartment is the place to be on a Wednesday! $1 pizzas from 8pm onwards…need we say more? If you’re into the whole camping frenzy but want to end up in the comforts of your own bed at the end of the night Glamp is the place for you. 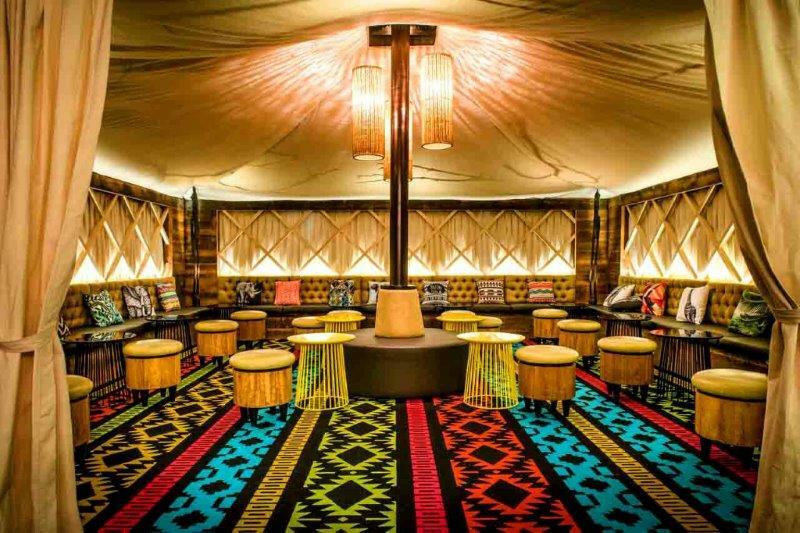 Mixing East African culture with a sophisticated space, half the venue is covered by a canvas tent which gives you the ultimate glamping vibe. You’re even greeted by a life-size rhino sculpture! There is a DJ playing on Fridays after 6pm and Saturdays after 9pm, but if you want a more relaxed vibe for after-work drinks, then you can head on into the tent where you will see a colourful display of cushions, wooden tables and carpets that will surely brighten up any weekday blues! For $20 you can get one of Glamp’s unique yet very popular cocktails such as the Jungle Juice, Means No Worries or a Maasai Warrior. Pair a funky cocktail with their famous cheese board or a serving of lamb. If you’re feeling like an old soul and just need a night of relaxation along with good food and drinks and a 1920’s/30’s atmosphere, then Antique Bar is the place for you. 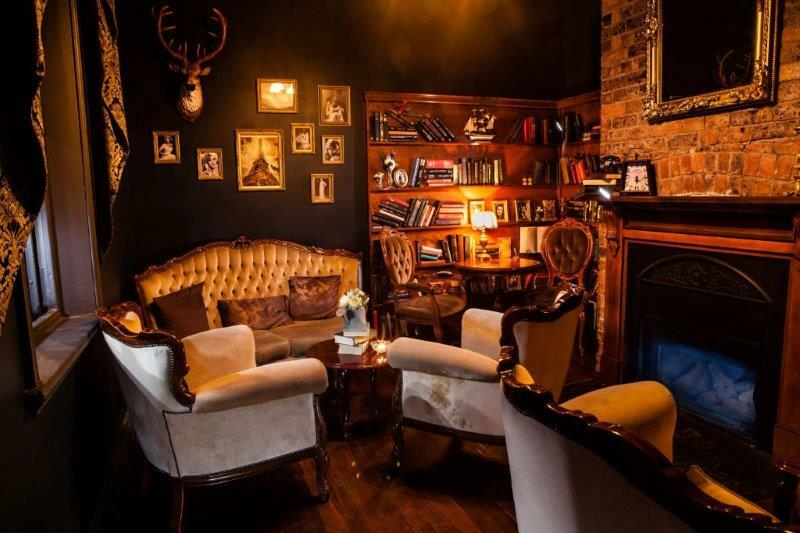 Whether you’re sitting in the library room or by their unique fireplace, as suggested by their name, the vintage furniture and displays sprawled on the walls will keep you fascinated yet relaxed for the entire evening. Feel like an endless supply of wine? Antique Bar has you covered! With a $29 wine buffet every Sunday, you’ll be in for a well-worthy hangover on Monday (and a potential sick day)! 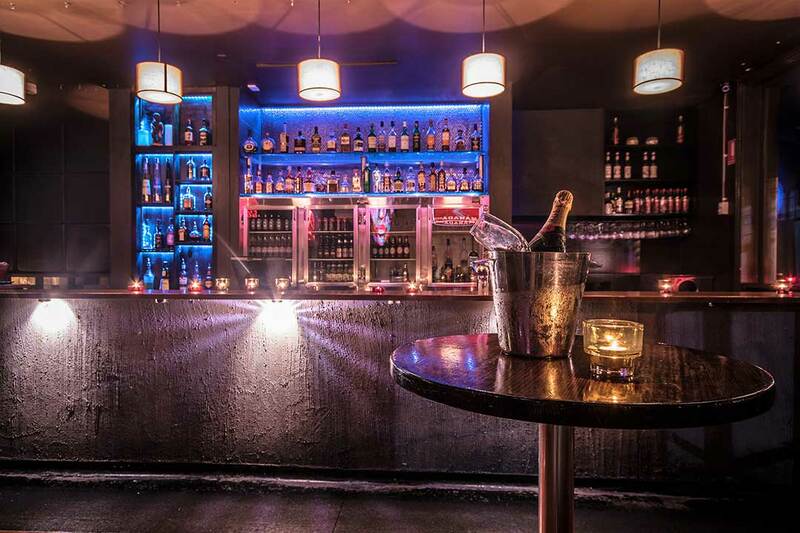 A 2 storey nightclub that caters to every Melburnian’s needs! Whether you’re looking for a night out on the town and partying until dawn (they’re open until 9am on Saturdays), a retro vibe that you won’t get anywhere else, or a sports night out with the boys, Robarta has it all. Premium beverages and a broad range of wines are on offer as well as unique cocktails that will cater to everyone! Happy hour from 4pm on Friday, Saturday and Sundays for $12 cocktails and $30 jugs of Sangria. If you’re feeling hungry after all those cocktails, Robarta has a wide range of food to keep you satisfied. From dumplings and spring rolls to burgers and curries to tapas and mixed plates to nibble on. 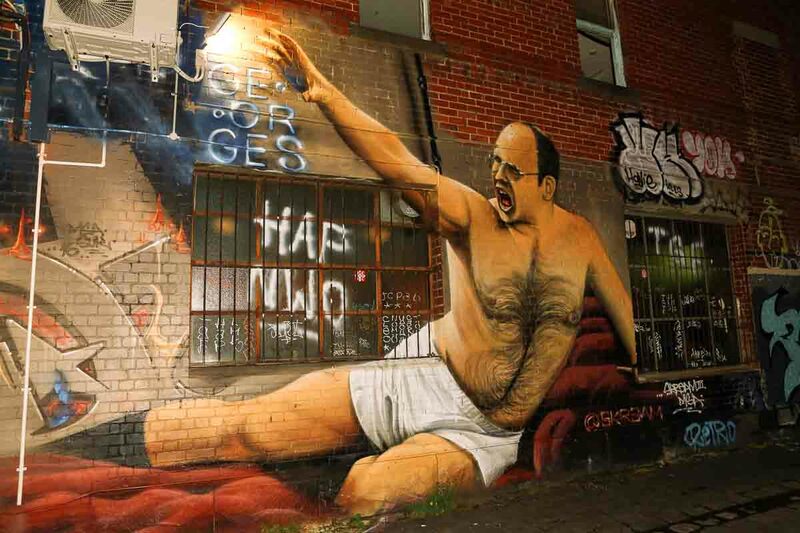 If you’re obsessed with the American sitcom Seinfeld and want anything and everything George Constanza related, then you’ve come to the right place. 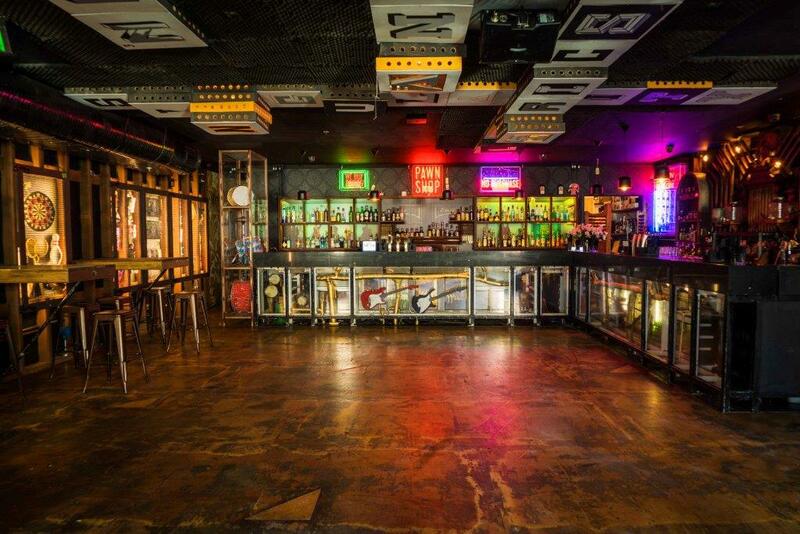 A welcoming environment and uber cool vibe that will keep you coming back for more. Whether you’re in the mood for a $5 toastie to ago alongside your drink, $2 pretzels or a hump day catch up with a friends in one of their cosy booths, George’s Bar is the place for you. Open from 6pm from Wednesday to Sunday, you can enjoy comedy and trivia nights so keep up to date with what’s happening on their Facebook page. So Be More Like George or even get involved in an Elaine dance-off with your gang! Firstly, you need to ring the doorbell to get in. 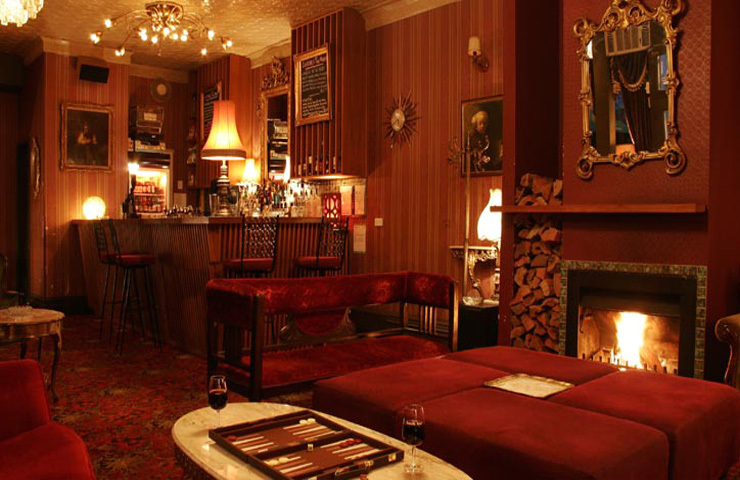 But once “invited in”, you ‘ll see why Berlin Bar is an old favourite. The venue is split into two sections, East and West – just like Berlin city. Once you’ve decided which side you’re a part of, and think carefully, you can let the fun begin! 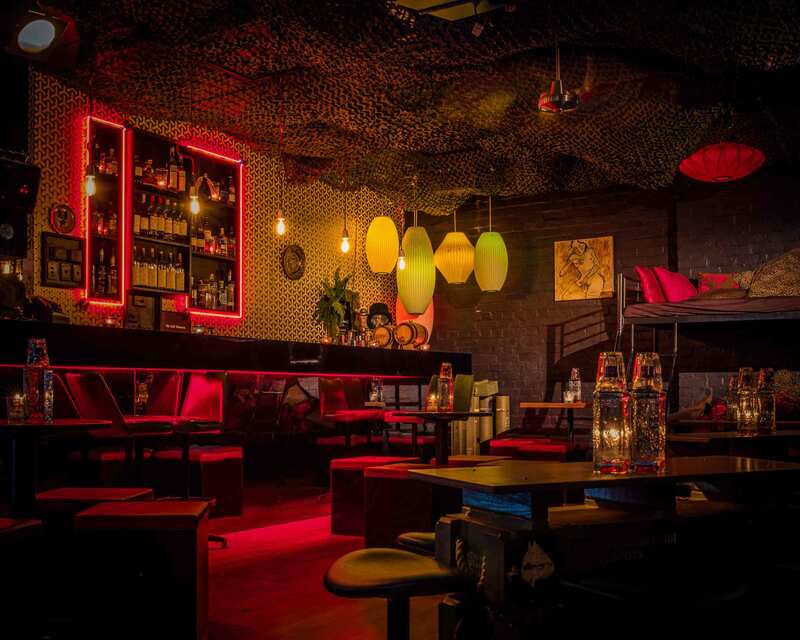 Order one of Berlin Bar’s quirky cocktails and enjoy it in their cosy 1980’s indoor setting with dim lighting for a glamorous ambiance. Whether Berlin Bar is part of your night crawl or it’s date night, you’ll be sure to let loose and celebrate and unify any night of the week. Maybe you could use ‘Ich bin ein Berliner’ as a pick up line? Who knows? It could work! A rather fancy garden party. This bar has been developed in to your very own country club. Wait staff are dressed in tennis whites and accommodate to your every need. Suited for big groups or even your significant other, you can share a jug for $35 for 2 people or $55 for 4 people. An extensive and unique list of jugs including The Madame’s Fruity Double D Cups, Lady Liberty and Love Juice. You can even host your very own garden party with $55 per person. It doesn’t matter in which season you visit Madame Brussels, because you can ask for blankets for those chilly winter nights or enjoy the city terrace view in the summer. So head into the Hedged Bar and Indoor Garden or visit The Terrace or even The Upper Terrace and finish the night off in The Parlour. Open from noon to 1am every day! One of Melbourne’s hidden gems right in the laneways! A 3-level bar that has a unique theme on each level. If you enjoyed science in high school (not all of us did) and want to live through your Year 10 days, then The Croft Institute will deliver on all aspects. Level 1 is a science lab that will fulfil all of your quirky needs! Including test tubes, flasks, beakers and so much more laboratory equipment on display! Level 2 are the male and female hygiene departments. Level 3 is set out to be a high school gym with a real turf bar which is open after 10pm with live DJs. 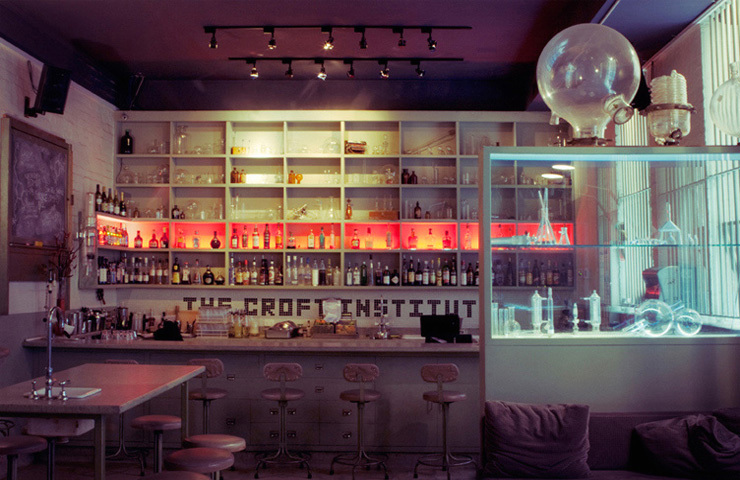 Their unique cocktails include a large syringe in your glass while also offering wine and beers. It is a peculiar location for pre or post work drinks or even a Saturday night-out for you and your quirky friends! So if you want the ultimate reunion or even just want to reminisce high school life, this is the bar to visit.